Connect the Dots Ginger | Becky Allen: Baby It's Still Cold Outside! Brrrr! Anyone else thinking that this winter should be over and done with soon? It has been so cold this year. I am kind of missing the AZ winters I grew up with where the weather just stayed nice and chill not FREEZING COLD! I am still trying to find the perfect jacket still. And yes there is a ton of Under Armour on this list. But their cold gear clothing is really good and I have heard awesome things from my friends and fellow runners about it. Even from the hubs he likes UA. 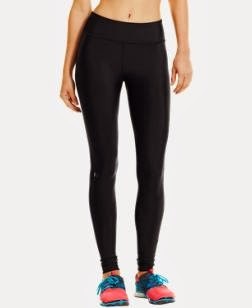 Under Armour fitted cold gear tights. Not really looking forward to wearing tights in general (too tight) but I know that they will be really nice when running in. 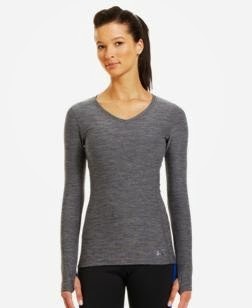 Under Armour fitted crew top. 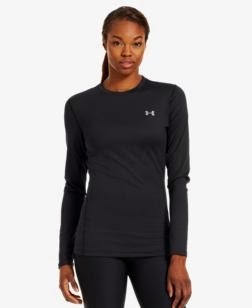 Under Armour cold gear infrared v neck long sleeve shirt. This is a nice cute fitted top. Champion by Target flip gloves. 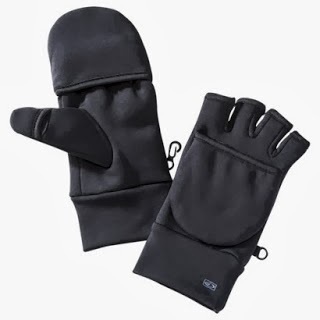 I had these on my list for Christmas and still haven't gotten them yet but next year I will have gloves to run in.